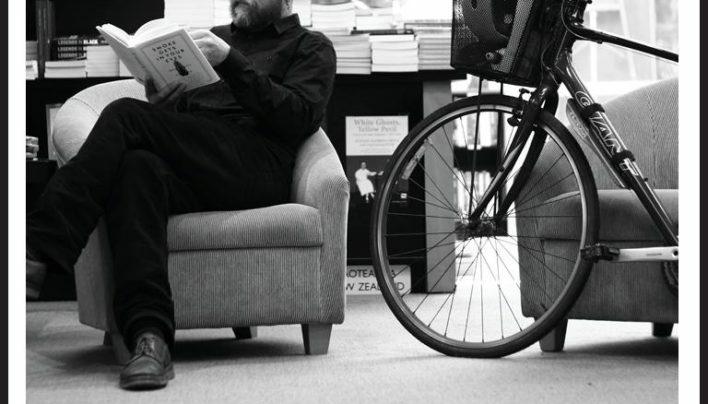 Our advertisement in the December issue of New Zealand Books, features the bike of cyclist, designer and customer Lee Jensen. 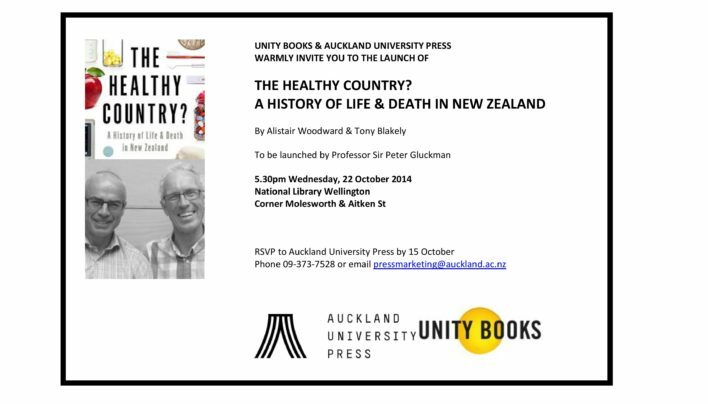 Oh, and he’s there reading too. Photography by Matt Bialostocki. 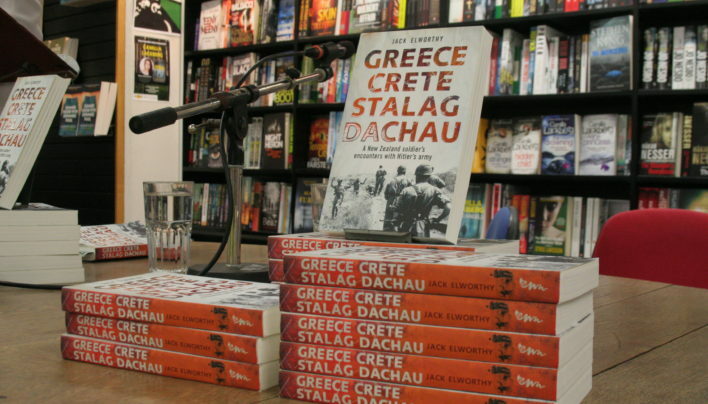 We love wheels! 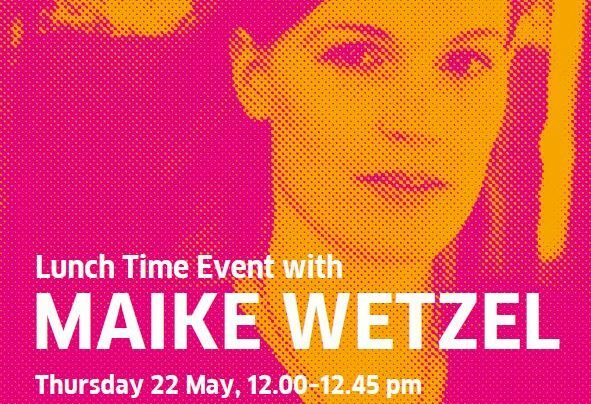 Josh, who travelled to the shop by skateboard, meets Vanessa Williams and Dave Broome. 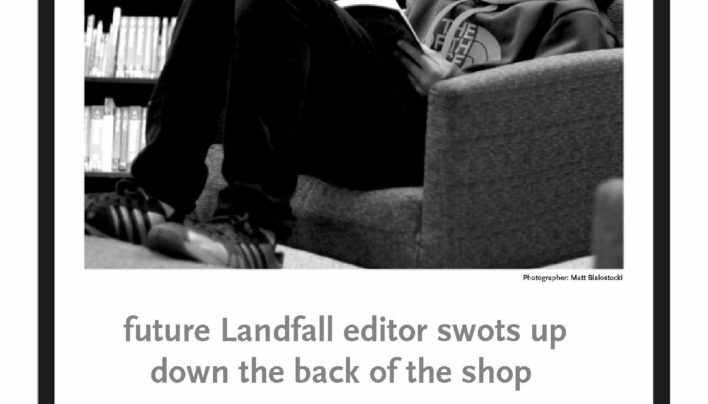 Our advertisements in Landfall follow a theme of a “future editor of Landfall” reading in the shop. Photography by Matt Bialostocki. 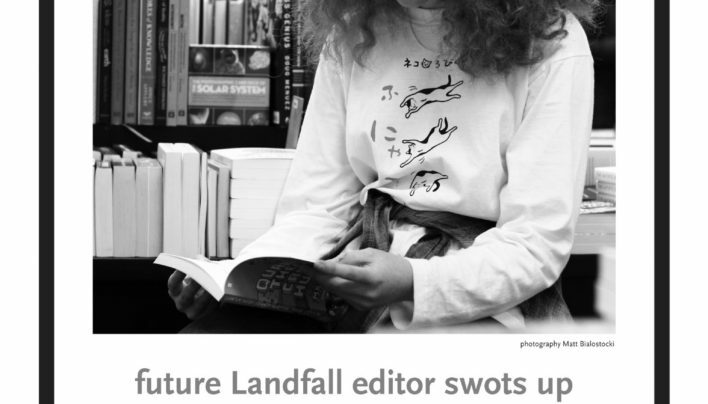 Our advertisement for Landfall 227 follows our usual theme of a child reading in the shop, this time photographed by Matt Bialostocki. 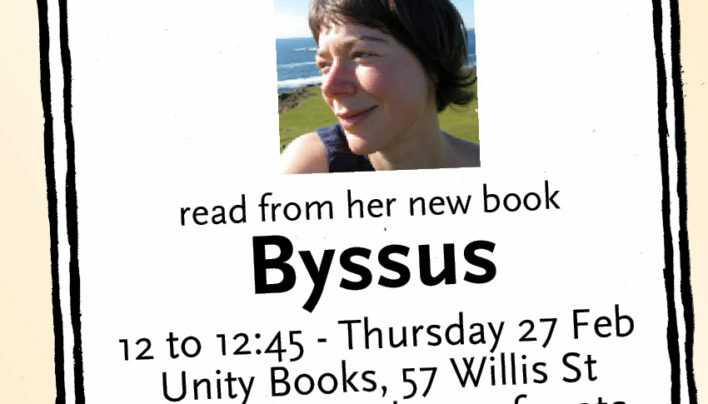 Advertisement for a lunchtime reading from Byssus by Shetland poet Jen Hadfield, published by Picador, as it was printed in the Dominion Post. 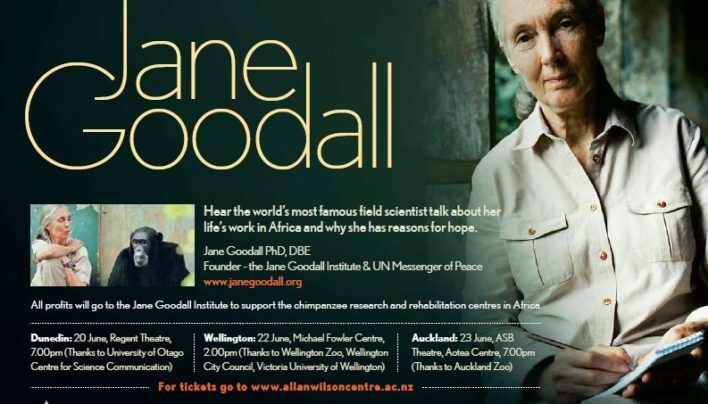 Flier for an event with Jane Goodall at the Michael Fowler Centre. 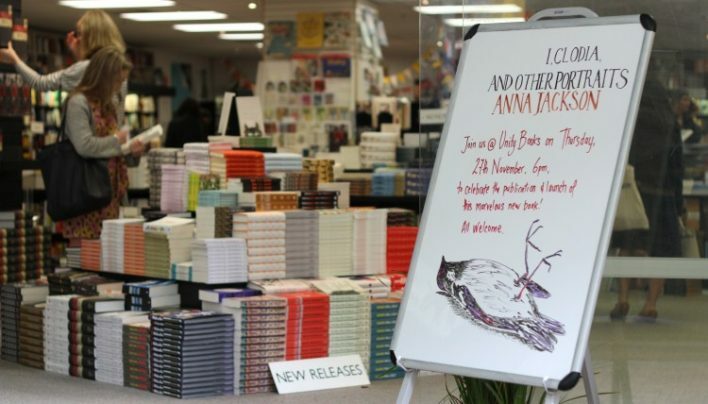 Invitation to and photographs from the launch of I, Clodia by Anna Jackson, published by Auckland University Press and launched at Unity Books by Geoff Miles.